Tsar Peter (927-969), the book’s protagonist, is all too frequently presented in modern scholarship as a weak ruler, devoid of any grander political aspirations, focused on religious matters, indeed - pious, but neglecting the vital interests of his subjects. It was said that during his reign both his court and state became Byzantinised, that the central authority was completely helpless in the face of Hungarian raids, and saw the spread of the Bogomilist heresy. 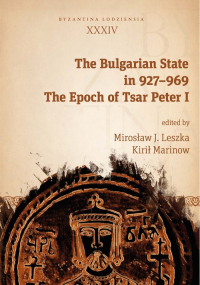 According to the Tsar’s critics, it was as a result of his ineffectual rule that Boris II, his son and successor, was unable to defend Bulgaria’s sovereignty in 971. This book - the first monograph in world literature devoted to Peter - was written by Bulgarian (Miliana Kaymakamova, Georgi N. Nikolov, Angel Nikolov, Nikolay Hrissimov) and Polish medievalists (Miroslaw J. Leszka, Kirił Marinow, Zofia A. Brzozowska Jan M. Wolski). Thanks to a thorough analysis of the sources and an in-depth knowledge of the literature of the subject, they constructed a comprehensive and balanced image of the reign of their protagonist, and of the role he played in the history of mediaeval Bulgaria. 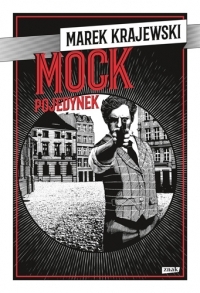 We are dealing here with a monograph that is exceptional not only in Polish, but also international historiography. Its authors, known for their numerous dissertations, papers on the history of Byzantium and Bulgaria and other works, undertook the task of creating a synthesis, world’s first comprehensive study devoted to the Bulgarian Tsar Peter and his times [...] The authors convincingly present the political achievements of the monarch and his contributions to the development of the early mediaeval Bulgarian culture [...] they accurately recreate the image of the contemporary Bulgarian society which, during Peter’s times, benefited from the fruits of the second peace.